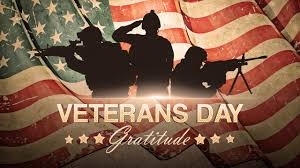 Remember all Veterans | A.B.E. Remodeling, INC.
Today is an important day to think upon as we observe Veterans day 2018, please take a pause to remember those who served for our freedoms here in the USA. Makes you think about those that sacrificed so much to pack up and go to foreign lands. Some of us cannot imagine what families went through in the years gone past. Some gave all!! We should be a most grateful and thankful nation to the freedoms we still have. For me it is difficult to understand why any American would disrespect our American Flag. Bringing another point to light- for those celebrities and other people who said they would move out of country - why are they still here? Because they know that this country is still one of the best in the world. Yes, we are sinking lower, buy why. There is just too much hatred throughout our lands. To much fighting right here in America the beautiful. What happened to history… For many Veterans Day is a time to seek the "veterans day sales". Folks just forget the sacrifice of brave men and women who walked the walk and fought the battle. LET US.....Especially today.... say THANK YOU TO EVERY VETERAN THAT HAS EVER GAVE SERVICE TO THE FREEDOM OF THE UNITED STATES OF AMERICA. LET US ALL COME TOGETHER AS A LOVING NATION. Be kind to your neighbors and folks that you meet through your journey. We only get one life on earth and it's so quickly gone…make yours count. Let others see your light shine. 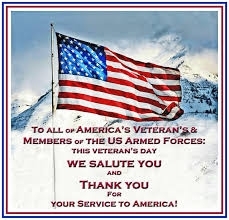 All in all, if you know a veteran or see a veteran, just give em' a big thank you.